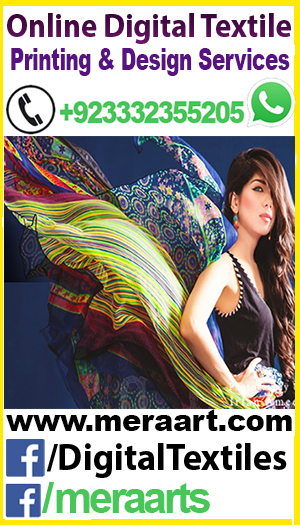 Digital Textiles Provide Digital Design, Digital print and sell custom Digital printed fabric on-demand as pr customer requirement and we also Provide Digitizing services and Embroidery services on all type of fabric. Customers and Designer Easy print any design on Fabric like Cotton, Lawn, Silk, woven, organics, and any synthetic (Polyester) fabric for the home decor, upholstery and fashion garments fabrics. Textile, Fashion and art students make any assignment or projects print own design on fabric and make final thesis project and Products under supervision with experts. 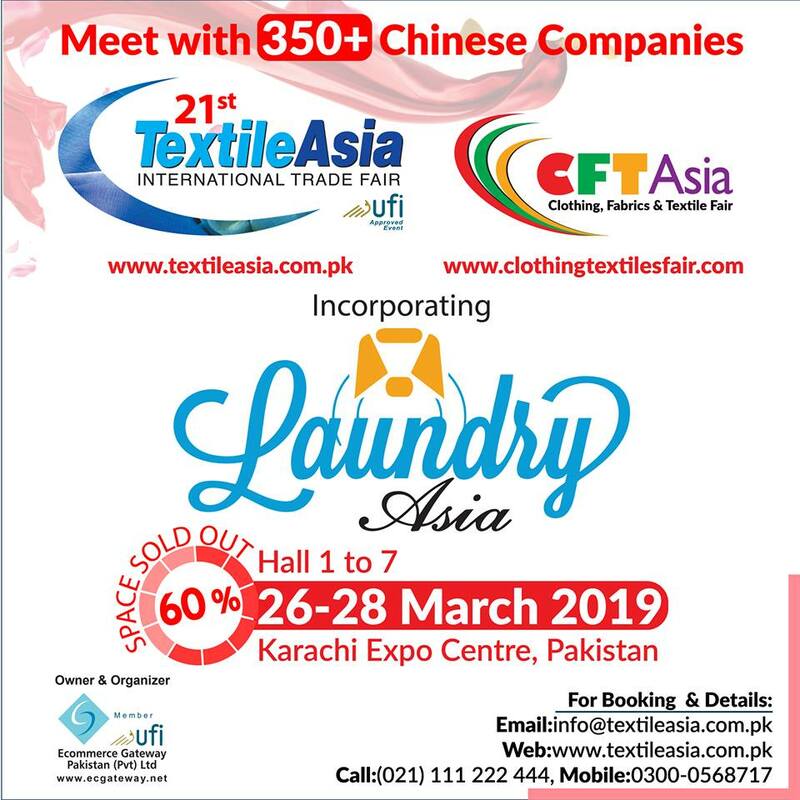 CFT Asia (Clothing, Fabrics Textile Asia) is one of the biggest fairs in its field In Pakistan will be organized at Lahore Expo Centre & Karachi Expo Centre. 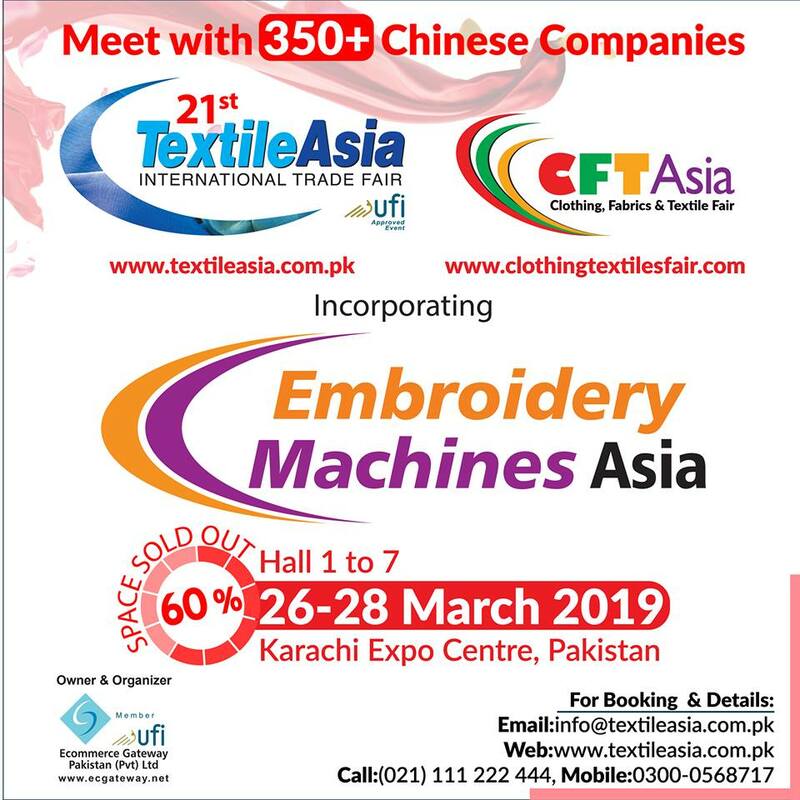 CFT will host more than 300 local and foreign exhibitors includes Pakistan, Turkey, China, Malaysia, Italy, Germany, Russia, Belgium, India, Japan and other countries will be showcasing an extensive and latest selection of fabrics, and materials of textile industry. 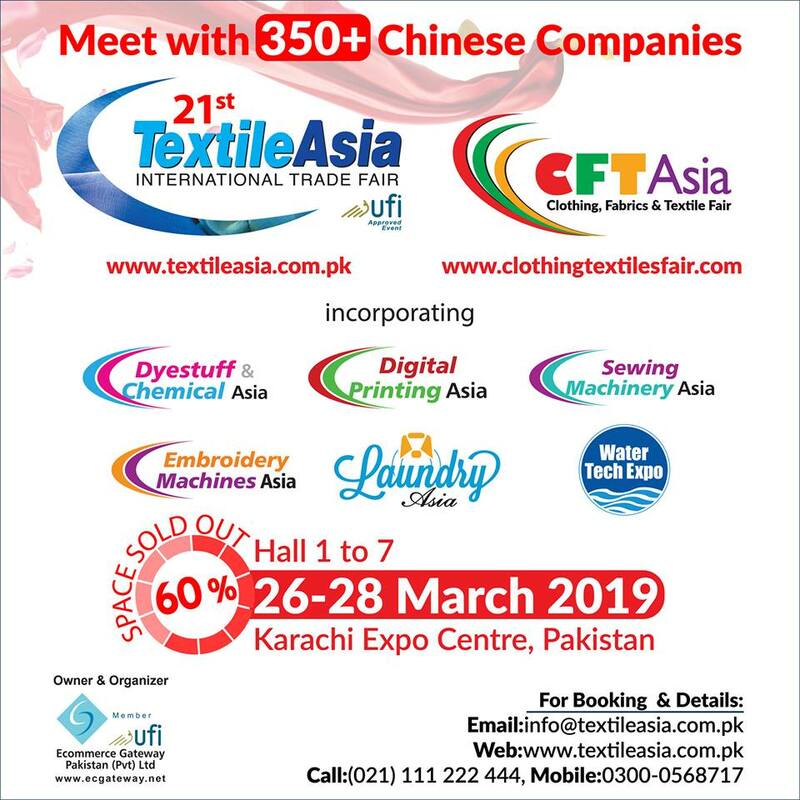 Clothing, Fabrics Textile Asia will bring together yarn, fabric, trims and clothing manufacturers, retailers and designers by providing a pure business platform with a wide range of high creativity fabrics with an excellent price and quality relationship. 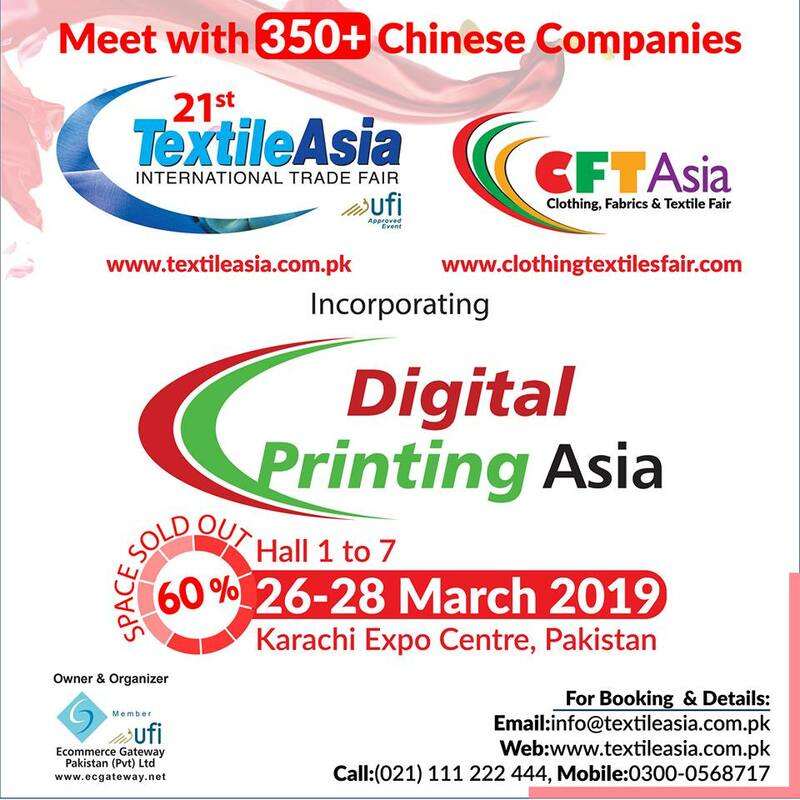 Clothing, Fabrics Textile Asia is the essential sourcing event in Pakistan for buyers, R&D and product development specialists, designers, merchandisers and overseas sourcing professionals. 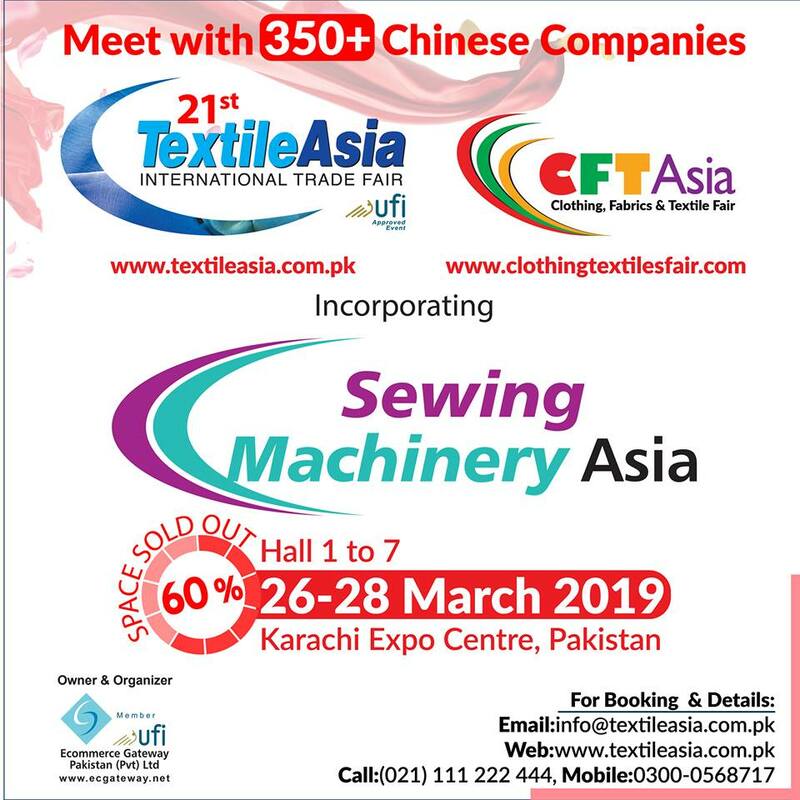 Meet with mills and manufacturers from Pakistan and around the world showcasing their collections. 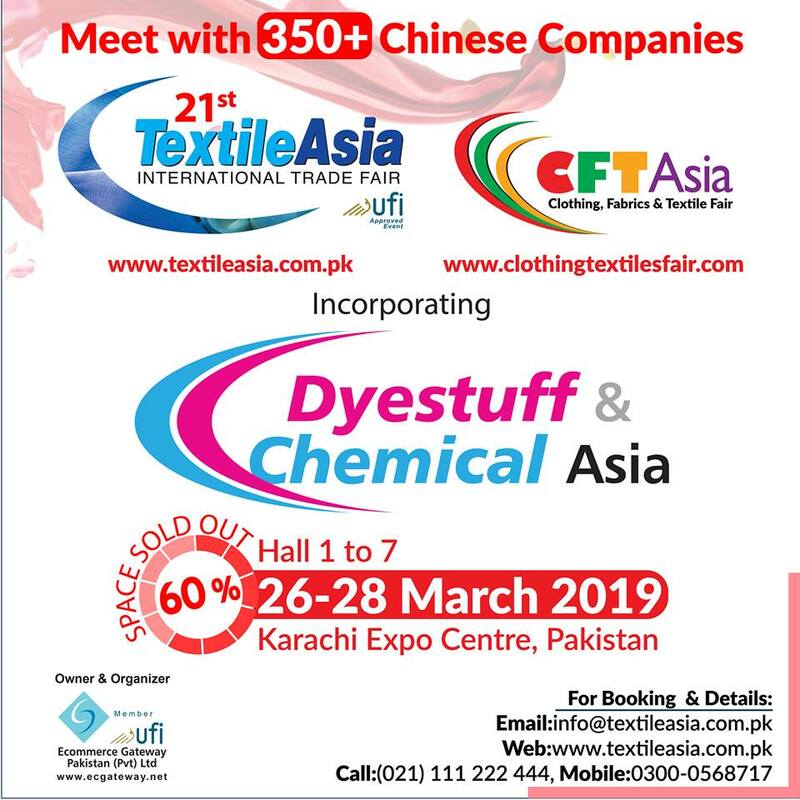 CFT Asia Trade Fair will be organized with the concept of attracting high profile manufacturers, exporters and importers from all over the world, CFT will take place with new concepts and latest designs and products to create the most effective business platform for the industry.